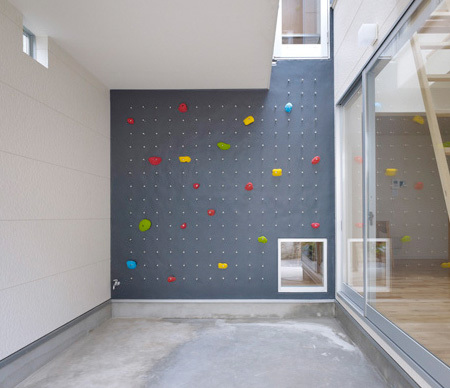 Modern house designed by Naf architects features rock climbing wall that allows people to climb from one floor to the next. 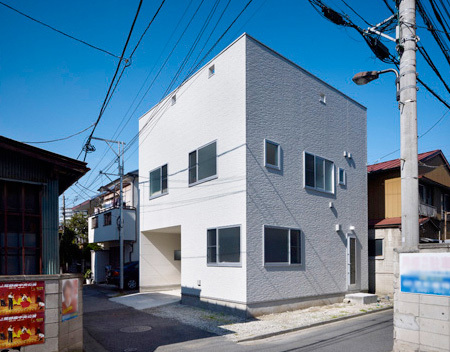 3 Way House is located in Tokyo, Japan. 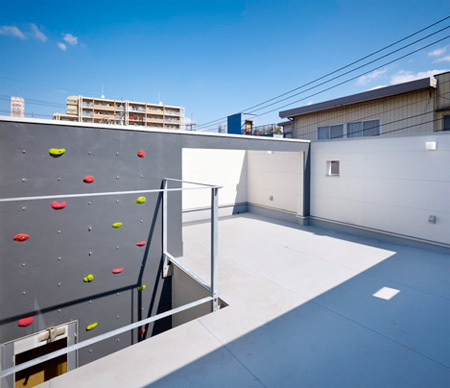 Integrated climbing wall begins on the first level and ends on the roof. 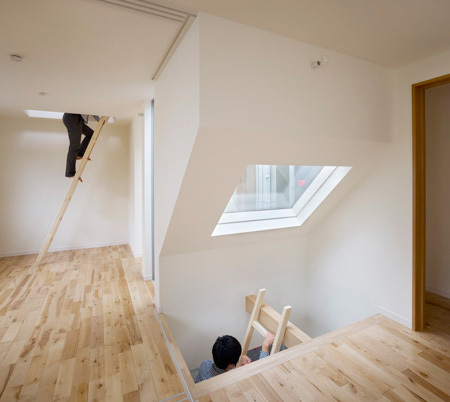 There are also ladders and stairs for people who do not want to climb. 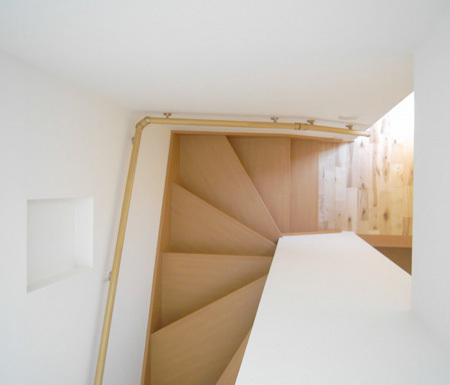 Well designed? We’ll see about that when someone plummets off that wall, into that glass, and onto the dining room table. Seems like a great way to ruin thanksging. 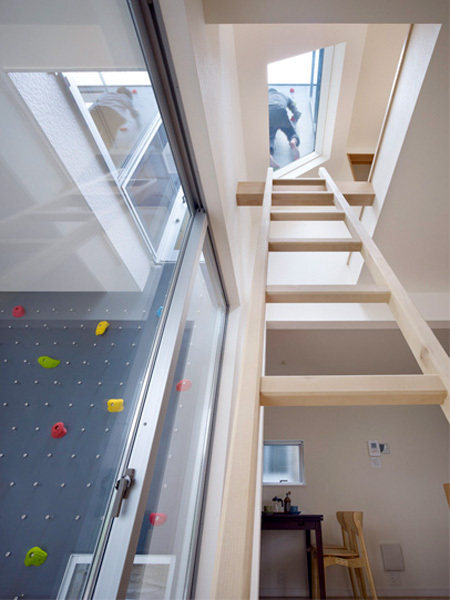 So of all the materials they can use to soften the fall they use glass and concrete? @Mary Jane, you made me LOL. Thanks. I agree though, great concept.. poor execution. 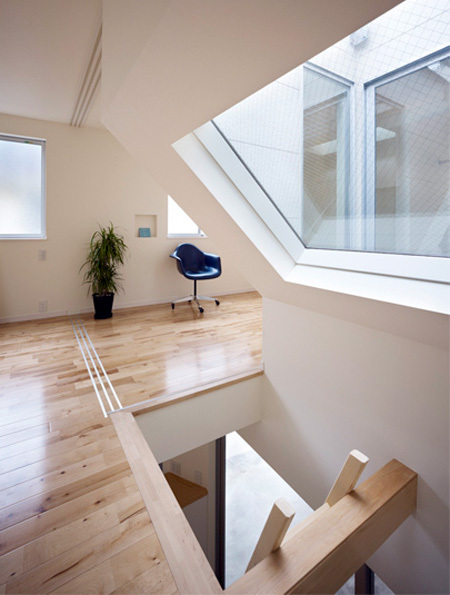 Love the opening at the roof with a railing with no guard, the openings in the floors for the ladders and no guard railing around the openings and the door out to …. well, watch that first step. Hope the ladder is anchored. C’mon over and have a few beers. We’e gonna scale our dining room wall tonight! Saw this on Toxel. Safety cord? We don’t need no stinking safety cord. Done this a hundred times. Watch. C R A S H! P O W! Someone call 911. I don’t know how this could’ve happened! LOL. 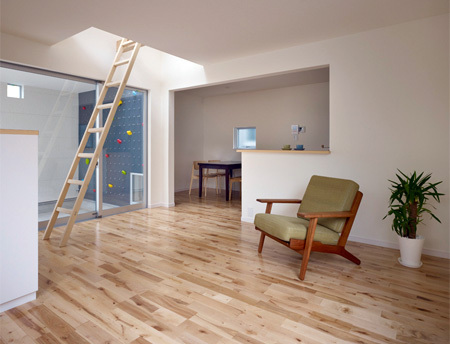 Smart design, but not safe for children. Yeah, the landings are kind of sketchy, but this isn’t somewhere you’d be pushing your limit on really hard climbing problems. 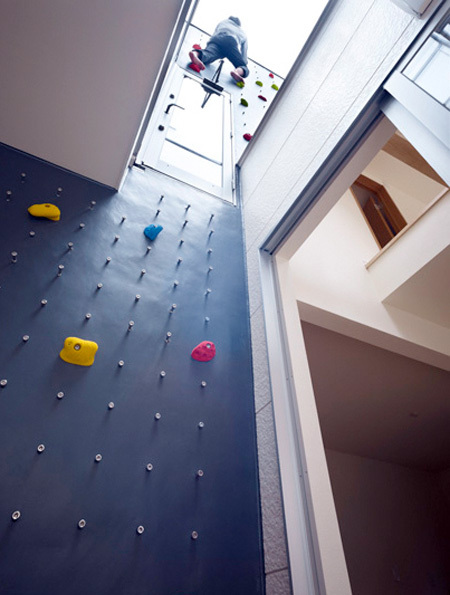 I’d feel perfectly comfortable climbing on this, it’s more of a novelty than anything. Weather might be a minor consideration… ya know. 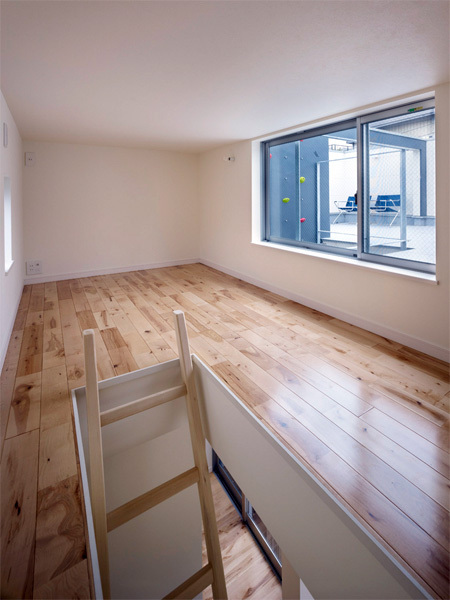 Even if Concrete and Glass aren’t deal breakers (no pun intended) breaking and entering might be a small concern too, assuming glass panels can’t be broken or removed. No big crime problem in Japan. My mom in Yokohama didn’t even lock her door until recently and then only because the American kids from the nearby base might break in. You guys worried about safety, it’s not a problem if the people living in it have a mediocre or greater intelligence and a little bit of athletic ability. I would trust my whole immediate family with this. I think it’s more of a custom built type of thing, you build it for yourself, not someone else. If you trust yourself with it, it should be fine. 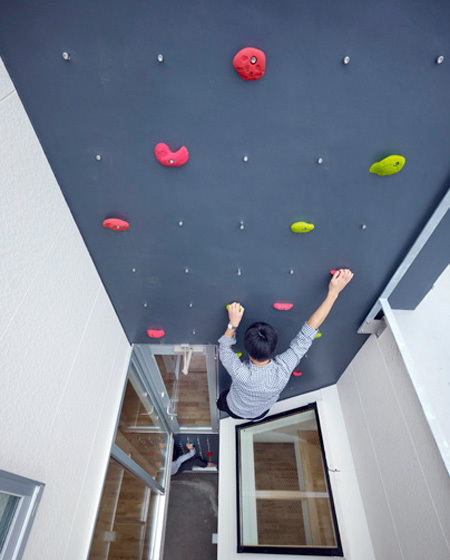 Interesting… but very specifically for ppl who love climbing all the time! One this is for sure 5 times put and down and i’m going to crash on the sofa at night!! How to stop Grandma from visiting! In all seriousness though, I do like it a lot. It’s a novelty, and it’s not for everyone. I’d put a comfy sofa on the ground floor so I could crash after a night out!